The Cumberland & Dumfriesshire Farmers Mart P.L.C. held their had forward 1,086 head at their weekly sale of breeding sheep with lambs at foot at Longtown on Tuesday 22nd June 2010. A good show for the time of year still remained dear to a top of £72 for Greyface hoggs with singles from The Bayles. Hoggs with singles:- Greyface £72 Bayles; Texel £70 Tow Low; Suffolk £68 Tow Low. Ewes with singles:- Greyface £64, £62 Drumcork, £62 Glasson; Texel £60 Kirks House; Cheviot £59 Glasson; Blackface £43 Bayles; Swaledale £33 Bayles; Herdwick £30 Haithwaite. 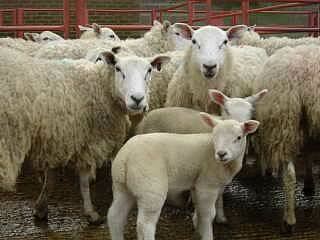 Ewes with twins:- Greyface £52 Bayles; Texel £52 Bayles; Blackface £43 Bayles. Store hoggs:- £65.50 Carpet Farm. Cast rams:- £85.50 Carpet Farm. Cast ewes:- £69.50 Carpet Farm.